You may think that tile flooring is only for kitchens and bathrooms, but that’s not necessarily the case anymore. Tile flooring can be a great flooring option for many different homes, especially because it’s such a multifaceted option. Tile can be a unique option to add to your home in less traditional areas such as the living room or the dining room. As Lutz’s Top Rated Local® Flooring Service, we can provide you with all of the information that you need to have flooring that adds a distinctive element to your home. If you’re interested in having tile flooring installed in your home, then we recommend that you contact us. We offer free in-home estimates and we’re more than willing to answer any and all of your questions. Tile is an option that’s very flexible. It’s durable, beautiful, and it can go in many areas of your home. While you’ll probably want to stick to some of the more traditional rooms for tile such as the bathroom, kitchen, and mudroom. You can also include tile flooring in less customary areas such as the living room, dining room, and even the bedroom. Living in Florida, there’s a lot more accessibility for tile flooring since generally, Florida is pretty hot. Having that cool and chilled flooring to keep you comfortable is just the ticket to ensure that you stay comfortable no matter the weather. If you want to add a little something extra to your home, whether that means color or patterns, then tile flooring is a great choice. Tile flooring is a fantastic option for many homes because of how durable it is. Tile flooring is one of the more durable options that you can choose. Water resistant and strong, you don’t have to worry about the tiles breaking on your floor. Tile flooring can actually last for several years without becoming damaged, especially if you take care of it. Speaking of maintenance, tile flooring obviously needs some, but it’s not as much as other types of flooring. Instead, just put in a little bit of elbow grease and enjoy a floor that’s sparkling and immaculate. 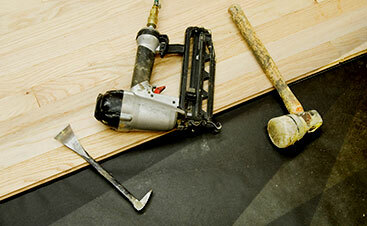 If you’re thinking of getting tile flooring, then consider 2 Day Flooring for the installation process. We can also help you pick out the right tiles, colors, and patterns for your house to ensure that it looks magnificent. 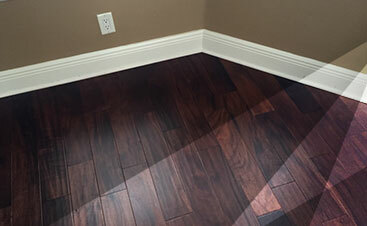 At 2 Day Flooring, we’ll walk you through what to expect during the process and how the installation will be completed. We’ll show up at your house in a timely manner during the installation. Additionally, when you’re trying to decide on the best option, we’ll lead you to the one that’ll look great in your home instead of the more popular one. 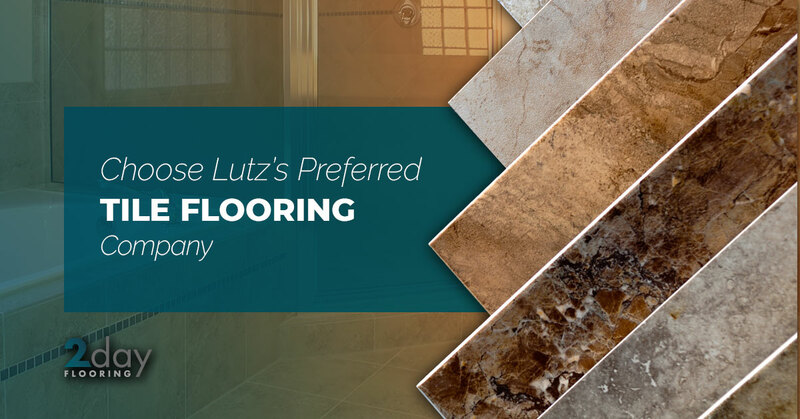 At a flooring company that serves Lutz, we want to make sure that you’re completely happy with your flooring because our number one priority is client satisfaction. If you’d like to learn more about tile flooring, don’t hesitate to reach out.